Often, religious places are some of the most magnetic characteristics of a destination. This is not because of the importance that they hold for devotees, but the mysteries and architectural finesse these contain. Mysore or Mysuru is one such place where places of worship double up as magnificent structures, attracting the attention of tourists. Visiting a church in Mysore can reveal interesting facts to a traveler which can only be found in few other structures in the region. These secrets include its history, the political climate, as well as the philosophical, literary, genealogical, anthropological and architectural influences that were prominent here through the ages. Whether you are in search of a moment of revelation or a moment of solace, visiting a church can be a profound experience for you. Below, we unveil a list of churches in Mysore that allow you to bask in the rich tradition of the region in ways you would not even have imagined. Visiting one of the tallest churches in Asia, which, almost as prepense, is also the second largest church in the continent, is a must whenever you step out of your hotel in Mysore for a city tour. Built in the Neo-Gothic style that adorns the famous Cologne Cathedral in Germany as well as St. Patrick’s Church in New York City, St. Philomena’s Church is an experience worth a thousand forbidden photographs. Even though you can’t click pictures inside the halls of the church, which is designed in the shape of a large cross, a simple walk is enough to leave you spellbound. In fact, the experience of visiting St. Philomena’s is similar to admiring a stunning piece of art. The colossal spires that welcome you as you enter it hold intricate details of the care, with which the French architect, Daly, sculpted this masterpiece. Its spires are an amalgamation of several shapes that include both sternly pointed gabled conjectures as well as seamless hollows with circular designs. As you approach the carved doors, you feel like you have walked into a story as iconic scenes like The Last Supper, Crucifixion and Resurrection greet you from the tinted windows. Owing to its grandeur and ornate carvings, it tops the list of Roman Catholic Churches in Mysore to visit on a trip to the city. A shrine, which harbors a history spanning over two hundred years, is bound to be an attraction that promises more than just a simple prayer hall to sit in reverence. The origins of St. Antony’s Shrine Dornahalli can be traced back to the discovery of a thirteen-and-a-half feet tall statue of St. Antony close to where it stands today. St. Anthony of Padua, known as the Miracle Worker, is said to have performed miraculous feats of healing and prosperity. The twin-steepled shrine is renowned for the annual feast, which attracts devotees of the “Wonder Man of Miracles” from near and far. The grand procession that happens in the closing hours of the feast is a worthwhile experience due to the displays of devotion and revelry that one can witness here. Make sure you plan your visit to the shrine between the 4th and the 13th of June, which is when the feast occurs. 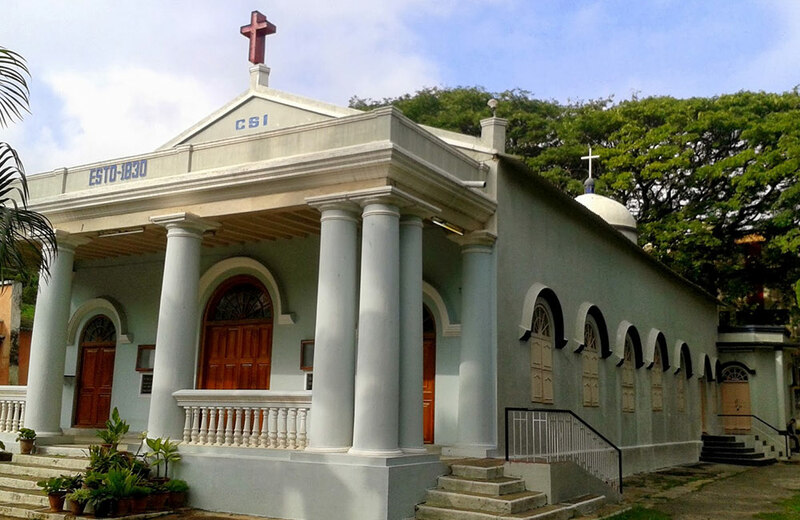 The premises of St. Antony’s Shrine in Dornahalli are full of wondrous attractions, both for the ardent devout as well as the curious traveler. 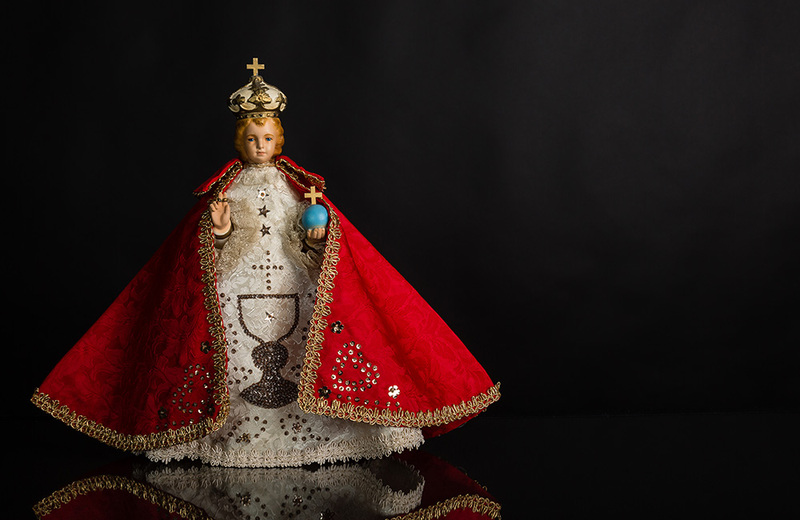 Some of these include the Perpetual Adoration Chapel, a stall that offers bracelets, rosaries, holy water, key chains amongst other things, and the wide variety of animals and birds that the clergy raises. These include emu, along with ducks, rabbits, and parrots. Often religious sites offer a glimpse not only into the ancient artistic traditions that existed in the region, but also the ways of the community that gathered within. 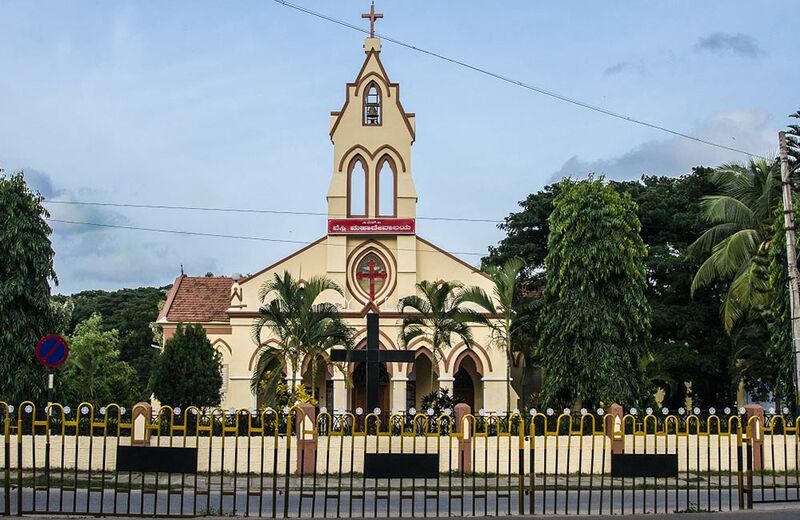 Infant Jesus Church in Mysore is one of these spectacles, owing its existence to an initiative by Bishop Jacob Thoomkuzhy of the Syro-Malabar community, which one amongst the numerous affiliations recognized by the Catholic Church. 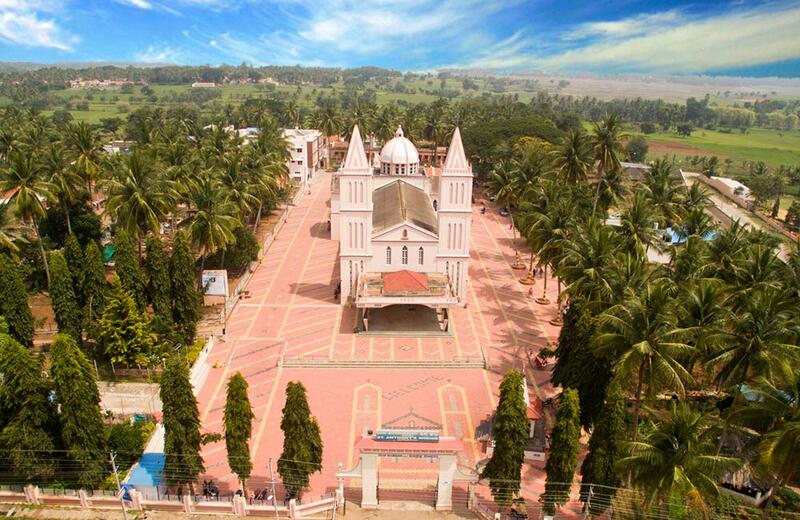 A majority of the Syro-Malabar community of Catholic Christians believe themselves to be descendants of the Nambudiri Brahmans, who chose to take up the path preached by Saint Thomas the Apostle. The architecture of the church is more akin to the contemporary style than what you see at most other grand cathedrals. In place of the towering spires are thatched terracotta tiled roof, which is a common element of Malabari houses. Also among its features is flagstaff in front of the main entrance, which is reminiscent of most churches that belong to the Syro-Malabar sect. Whenever a flag is hoisted at a church in Mysore, it is an indication that a celebratory feast is under way. The windows inside the church are an ode to the “Eastern” or “Oriental” influences that the Syro-Malabari Christian sect is embedded with. Once you walk inside the Infant Jesus Church in Mysore, you will realize that the central hall is shaped like an octagon. The number eight is significant in Christian mythology owing to the several appearances in the Bible. On the walls, you will see 13 sigils embedded into the tinted glass. Tell us, if you know, what each of these signifies in the comments below. Godspeed, explorer! Few other churches in Mysore reflect simplistic magnificence that St. Bartholomew’s Cathedral does. Standing in the midst of a serene neighborhood, this cathedral is the oldest one in the city. The rich history that surrounds this Anglican church in Mysore seeps through from its numerous noteworthy aspects. For instance, the bell tower in its courtyard contains a bell that was cast in France in the 17th century. Another powerful memento that has survived the ravages of time can be found within the main hall. Here, you will find a 129-year old pipe organ that still works to this day! A wonderful experience awaits those who find themselves at the church during a mass or a festival; the melodious tunes of the pipe organ resonating throughout. St. Bartholomew’s Cathedral continues to play a very important role in the social life of the Christian community in Mysore, being the sole caretaker of community cemeteries in the region. The symbol of reverence embodied in the minds and hearts of those who visit it in grief and in delight has been carved since its construction in 1832. In those days the cathedral, initially commissioned by the then ruler of Mysore, Krishnaraja Wodeyar III, doubled up as a community school for the children of European officers stationed in the region. The lineage of symbolic and practical communal importance continues even today as children from the nearby houses flock to the cathedral on Sunday for their Christian lessons. Other than being the oldest church in Mysore, the cathedral is also famous for the people who have visited it, including the reigning Governor General of India during the 19th century, Lord William Bentinck, King George V, Edward VIII and Lady Wellington. This 148-year-old cathedral was built by the members of the Wesleyan Missionaries Society. The individual responsible for initiating its construction is Rev John Hachian, who arrived in India in 1821 with the aim of spreading Christianity. As a part of his mission, he was granted access to sanctioned land by the Maharajas who ruled over Mysore during those days. The construction of the church started in the year 1868 and renovated in 1906. The picturesque scene that awaits you when you enter this Protestant church in Mysore is one that will surely beckon you again. Embodying all the quintessential elements of a church, including the towering bell-crowned steeple, yawning arches and thatched roofs, Wesley Cathedral is a familiar yet spellbinding sight. The surrounding hills and meadows make it one of the best places to visit in Mysore. 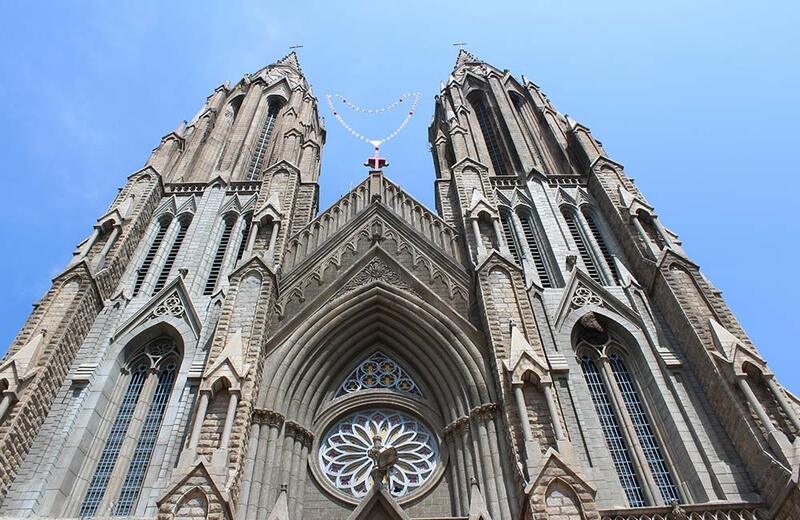 This list of famous churches in Mysore is bound to help you discover an aspect of the region’s history that often remains shrouded due to commercialization and other mainstream forces. So, without further ado, get exploring!